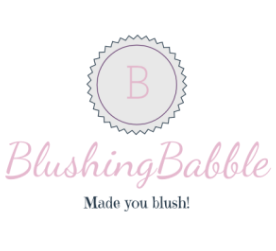 BlushingBabble is the place to find the answers to all of your burning questions about waxing, lashes, makeup, and working in the beauty industry. Here you can read about everything from the best mascara at the drugstore to what getting a Brazilian wax is really like from a beauty and esthetics industry insider! I’m a NY and FL licensed esthetician, specializing in speed waxing, makeup and lash extensions. I’ve been working the field for close to five years, and have racked up tons of funny stories, great tips, answers to your questions, and so many ideas for how to make the industry better. In addition to practicing esthetics, I am the social media coordinator of my salon/spa in East Amherst, NY. I also work closely with the owner of the salon/spa to create marketing objectives and see them through.